Paddy B-C's Blog | The thoughts, rants, insights and dissertations of a British man in his fifties. I’m English and have now passed the 50 year milestone. While this may not yet make me vintage, having been around the block a bit and collected some scars along the way, I thought it time to start a blog. The primary purpose of this is my own satisfaction but I hope to make some thoughtful posts that are of interest to others. If they are please let me know. Some brief background on me. I was educated at Winchester College, studied mechanical engineering at University College London but abandoned that (or it abandoned me) to join the Army. After several blissful years in the Queen’s Dragoon Guards and teaching at Sandhurst there was a defence cut and I got the chop. After working for others I ended up being an entrepreneur. Some projects worked, some didn’t but along the way I have met many interesting people and seen how they behave under extreme pressure. I’ve also learnt a fair bit about finance, The City, commercial life, green energy and (most recently) UK Planning. It is, I think, these experiences that will form the bulk of my posts. I now live and work in East Kent. I also write for The Conservative Woman and review books for ARRSE (the British Army’s unofficial website). When appropriate – or when I feel like it – those articles are also posted here. 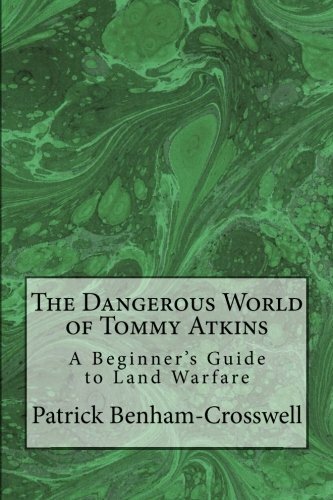 Finally (for now) I have written a book about soldiering and how land warfare works. It is available via Amazon. Buy it. What does your book deal with? Fine thanks BFB! How about you? Its about how soldiering works, i.e. the interplay of ground, weapons, tactics and (above all) men. I need to get a bit better at WordPress and then I’ll have an abstract page on here too. Right, it’s on the “to be read” list. I have an awful lot of books for other people to read, but I will get to it eventually. Reviews are l part of the window dressing on Amazon. I’ve just read Nicky ‘s copy of “Tilting At Windmills” and have enjoyed it. However, I must take issue with you on the CAP as I don’t think your conclusion about the UK government taking this over to pay farmers is correct as they are not generally disposed to do this sort of thing. Consequently, most people I know in the agricultural and horticultural sector are “remainers” – although their hearts may say “leave”! Fair point. Of course, there are no guarantees what the government would do in the event of Brexit. I suspect (and hope) that it would start a process of transformation over a decade or so resulting in a much improved governance of this county. However I completely understand that CAP payments are fundamental to the viability of all farms and that rocking this boat could cause substantial damage to many farms were the UK government not to directly assume the CAP burden, or at the least deliver something similar in quantum. But as agriculture and fishery is <0.5% of our economy I don't think the decision will be driven by UK farming. As it happens most of the farmers I know say that they are "Out." Whichever way we vote the problems of agriculture are serious, deep and in need of resolution. The ability to achieve this seems to be beyond many members of government, DEFRA and the NFU.